Studio execs shopping for tent pole biopic projects in the manner of Amadeus (1984), Ghandi (1982), Lincoln (2012) and The King’s Speech (2010) at the Cannes Film Festival this year will likely stop in their tracks when they see the promotional poster for Bach, an ambitious biography of the great German composer, Johann Sebastian Bach (1685-1750). Embossed over the imposing painting of the composer are the words “ORPHAN CONVICT REBEL GENIUS.” Although it seems like a crass Hollywood media spin on the life of a highly revered musician who spent most of his career as a church organist and composer of religious and secular works for royalty, town counsels, church authorities and children’s choirs, JSB was indeed all those things and more, says Bach co-producer and writer, Jeffrey M. Freedman. “Bach came from a long line of highly accomplished musicians and probably would have been remembered as just another dead, great Bach if it wasn’t for several remarkable events in his life,” says Freedman. Being orphaned by the time he was ten years of age. Chronically complaining about employers he claimed underpaid him or didn’t supply him with enough able musicians and beer, which prompted the Duke of Weimar to have him thrown in jail when he threatened to walk out on a gig. Living larger than life in terms of several human appetites, which was partly responsible for his taking two wives, with whom he had twenty children. Re-writing the rules of composition so that music expressed the most personal and passionate inner life of the composer. Collaborating with the world’s first head-strong, irascible and extremely talented, cigar smoking, cursing, confrontational feminist librettist who put words to his cantatas and attended what Bach initiated as the first extemporaneous live jam sessions at taverns and cafes in Leipzig, Germany, which are still in operation today. “Subsequent to a screenplay Freedman wrote about the Venetian composer, Antonio Vivaldi (1678-1741), rumored to be starring Catherine Zeta-Jones, he traced the steps and immersed himself in the life and times of J. S. Bach for two years. The outline for the film based on this research has already attracted Oscar winners Mark Berger (Sound, Amadeus, Godfather II, Apocalypse Now, Capote, Munich), Joel Harlow (Makeup, Pirates of the Caribbean: Dead Man’s Chest), Adruitha Lee (Hair, 12 Years A Slave, Dallas Buyer’s Club), and Oscar nominees Tariq Anwar (Editor, The King’s Speech, American Beauty), Sarah Greenwood (Production Designer, Sherlock Holmes). When Tadas Maksimovas decided to part with his waist-length hair, he knew that he wanted to do something out of the ordinary with it. After growing it a decade and becoming quite attached to his impressive mane, he felt it would be a shame to simply cut it off and throw it away. So instead he came up with the idea of giving it new life. 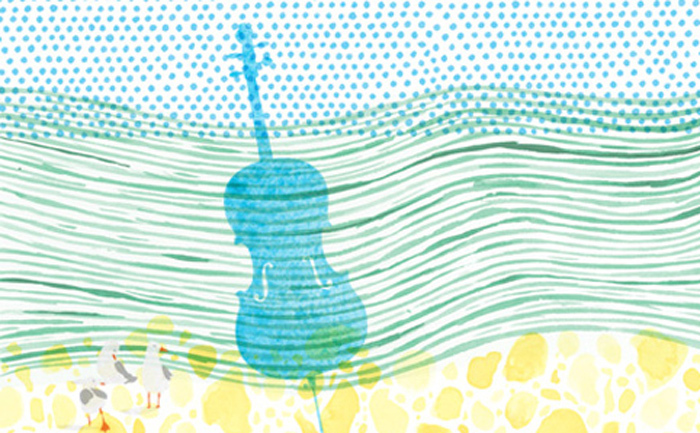 He had it in painstakingly twisted and glued into tight fibrous strands, then used to string a violin. Despite others’ reluctance, Mr. Maksimovas persevered with his idea. “One day I got frustrated and called one of the best Lithuanian violin players, Eimantas Belickas, and said, ‘Hey man, I got this idea,'” he said. 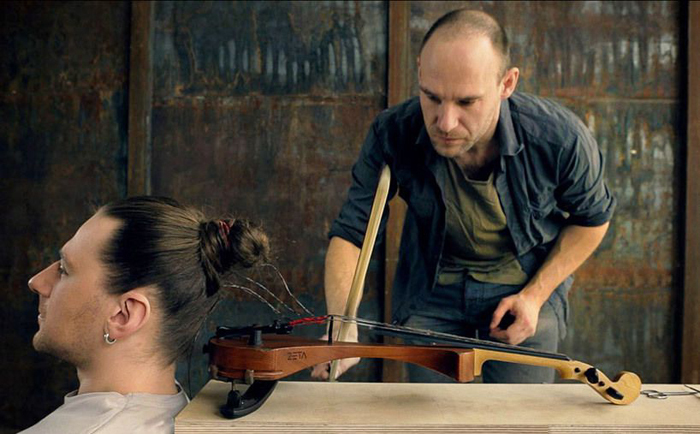 “I was thinking, if he won’t help me make it, I will drop the idea of hair violin . . . but he loved it!” Once Mr. Belickas was on board, Mr. Maksimovas flew from London to Vilnius to plan the project. Erschallet, ihr Lieder (BWV 172) was first performed three hundred years ago on 20 May 1714 on Pentecost. As with many of Bach’s cantatas, the libretto was compiled from a variety of sources: Bible text, contemporary poetry, in this case probably by Salomon Franck, and the chorales Komm, Heiliger Geist, Herre Gott by Martin Luther and Wie schön leuchtet der Morgenstern by Philipp Nicolai. 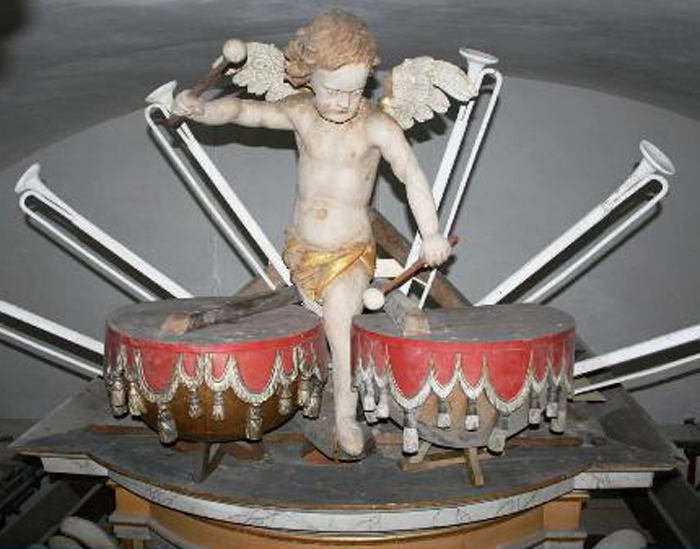 The four vocal soloists, a four-part chorus, and an orchestra of three trumpets, timpani, recorder, oboe d’amore, two violins, two violas, bassoon, cello, and basso continuo were situated in the music gallery high above the pews of the Palace Church at Weimar’s Wilhelmsburg. While the parts for the first performance are lost, a score and some performing materials for later performances in Köthen and Leipzig of the six movements of the cantata have survived. John Eliot Gardiner has remarked that Bach “particularly valued” Erschallet, ihr Lieder and that it set “a pattern for his later approaches to the Pentecostal theme.” In line with the success of the opening and closing choruses, Bach reused their scoring of three trumpets and timpani in a triple meter to mark many other festive occasions. Europe during the Baroque era, a period and artistic style that prevailed in the seventeenth century, was dominated by a series of great musicians who are beloved to this day. Among them is Johann Sebastian Bach (1685-1750), the great German musician and composer. 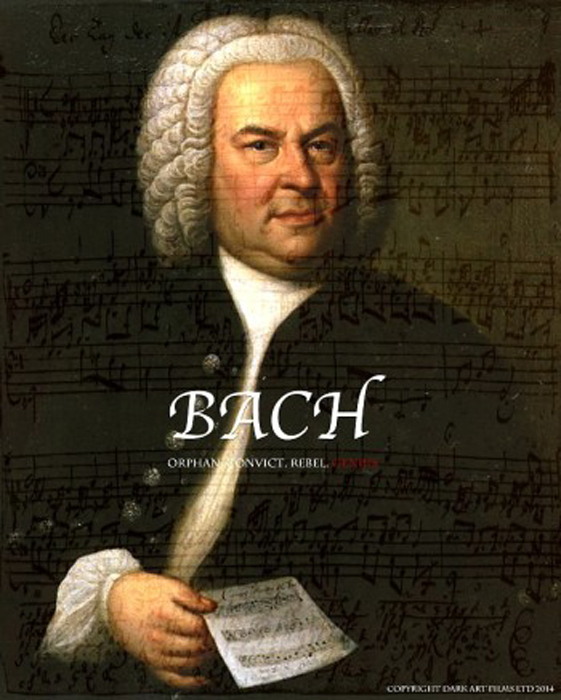 Dubbed the “Father of Classical Music,” Bach has been much-loved worldwide for more than three centuries. Many countries around the world have seen both dead and living musicians and artists inspired by the legendary composer’s music. In Korea, too, there is no doubt that the artistic and musical scenes have been much-influenced by his music over the recent globalized decades. A new piece on the stages of Seoul has now proved that Bach is ever-renewable, this time in the form of a ballet. Multiplicity, Forms of Silence and Emptiness is a ballet featuring the well-known Baroque compositions of Bach. It ran for three days, from 25 to 27 April 2014, at the LG Arts Center in central Seoul. As one can see from the title, the piece aims to deliver the “multiplicity” of artistic elements that exist in Bach’s music, as well as in other forms of art, architecture and dance from the Baroque period during which the composer lived. The choreography also illuminates some important moments of Bach’s life, emphasizing his passion for his music and showing the loneliness and sometimes painful illnesses that were part of his inspiration. The piece is being presented by Universal Ballet, one of Korea’s major ballet companies. Universal Ballet is now the fifth troupe to perform the work, following the National Spanish Dance Company, the Norwegian National Ballet, the Bavarian State Ballet in Munich and Russia’s Mikhaylovsky Theatre Ballet. “As a long-time fan of this work, I am so happy to be able to bring such great art to Korea,” said general director Moon Hoon-sook of Universal Ballet. This work, she added, has always been both one which she wanted to present as a dancer and one which she always wanted to view from the audience. The ballet features twenty-three Bach compositions, arranged into two acts. Act One is centered on the signature arts of the Baroque period and on the life of the composer himself. It featured a series of choreographed dance moves, all inspired by Bach’s music, as the dancers wear simple black costumes and dance as if they are each a musical note in Bach’s composition, acting like musical instruments and performing the sounds they make. In one of the more memorable scenes, a male dancer, portraying Bach himself, plays a human cello formed by the arch of his counterpart’s body. The choreography shows the audience the way in which Bach, through his music, became one with his musical instruments. Act Two focuses on Bach’s final years with their string of hardships, agonies and, finally, in the end, death. The emptiness and loneliness the musician felt in his later years is exquisitely displayed by a group of seven male performers dancing to solemn organ music. Meanwhile, a female dancer, wearing a white mask, symbolizes Bach’s purity and also the conflict he felt between his music and religion, a conflict from which he suffered until his death. In the final scene, Bach is at death’s door and collapses onto the floor as black-clad dancers stand behind him, like a series of musical notes, dancing to the rhythm. The scene gives the audience an important message: even though he dies, the musical legacy he left behind is everlasting. One of Dane Johansen’s paternal ancestors helped oversee the transition of Alaska from czarist Russia to the United States in the late nineteenth century, and having grown up in Fairbanks as a sixth-generation resident of the Last Frontier, Johansen has been looking for a way to marry his love and knowledge of the outdoors with his career as a cellist. He appears to have found it. 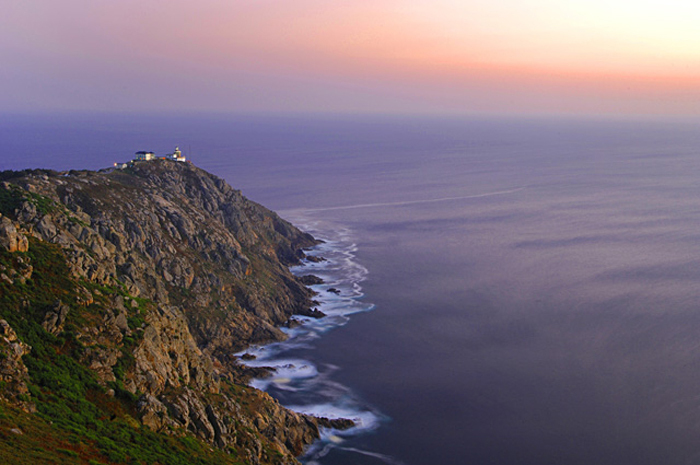 This week, Johansen sets out on the Camino de Santiago, the six-hundred-mile trail in northern Spain traveled for centuries by pilgrims heading to city of Santiago de Compostela, and a road which was used for millennia before that as a path to the Fisterra peninsula, which ancient humans thought of as the literal end of the earth. But he isn’t going as a religious pilgrim, nor is he in it just for the exercise. He’ll be bringing his cello with him – in a special extra-light, carbon-fiber case – as he walks the trail, and will stop in thirty-six churches along the way for the chief purpose of his walk: performing the six Suites for Unaccompanied Violoncello (BWV 1007-12) of J. S. Bach, probably the nearest thing cellists have to a sacred text. By the end of his trip, called “The Walk to Fisterra,” at the end of June, he’ll have played each of the suites eighteen times, in the home country of Pablo Casals, the cellist who rediscovered these great three-hundred-year-old pieces in a Barcelona music shop more than a century ago and did more than anyone else to establish them in their proper place as bulwarks of the literature. Johansen’s trip is about sixty-five percent funded on Kickstarter (the deadline is the thirteenth), and Johansen is still working to raise more money for the expedition. He’ll be accompanied by six other people – a producer, production assistant, two videographers and two audio engineers – who will be filming his journey and recording the music for future release as a documentary and a record. Johansen, the son of a civil engineer and a violin teacher, studied in his high school and undergraduate years at The Cleveland Institute of Music, following that with a year and a half at the Conservatoire National Supérieur de Paris, and finally getting his master’s and a performer’s certificate at The Juilliard School, where he now teaches as an assistant to the eminent American cellist Joel Krosnick and in the school’s pre-college division. Johansen is also the cellist in the young Escher String Quartet, which will be releasing discs this year of the complete Mendelssohn quartets (on BIS, the Swedish label), and the four quartets of the Mahler acolyte Alexander von Zemlinsky (on Naxos). On his own, Johansen performed Elliott Carter’s Cello Concerto for his Lincoln Center debut in 2008, and in 2011, gave the New York premiere of the Crouching Tiger Concerto compiled by Chinese composer Tan Dun from his score for the 2000 Ang Lee film Crouching Tiger, Hidden Dragon. In addition to his global appearances with the Escher String Quartet, he has performed in elite series such as the Chamber Music Society of Lincoln Center and the Marlboro Music Festival of Vermont. Johansen said he first came up with the idea for the walk in 2008, thinking he would walk the trail with his cello by himself. He had gotten the inspiration from a composer friend who had walked the Appalachian Trail and had written a good deal of music while on the journey. But the Appalachian Trail is largely wilderness, and while that was fine for the solitary occupation of composing, Johansen wanted to make a Bach journey on a more populated route. Taking the Camino de Santiago not only puts him in the same steps as the pilgrims who began using it in earnest in the early twelfth century, it also allows him to reach out to any number of contemporaries who happen to be there, and not only the young musicians from four Spanish conservatories with whom he’ll be doing some educational outreach on the trip. “Everybody who walks the Camino walks that route with their own story and for their own reasons,” said Johansen, who will turn thirty in June while he’s on the road. “And I think that this music will help elevate their experience. Whatever their reason for walking the Camino, I think that there will be people sharing that experience with me that will be happier for the music, and who will enjoy their experience more for the music,” he said. Johansen, who has been breaking in his Vasque hiking boots for the past few weeks, will be staying each night of the six-week journey in one of the many refugios on the path, though he added that some members of the production team may have to stay elsewhere from time to time for technical duties such as data downloads. His cello case, made by Germany’s Musilia, is a special reflective white to keep the heat to a minimum for his custom cello, built for him in 2011 by the New York-based luthier Stefan Valcuha. Johansen said the origin of the Bach suites themselves are as shrouded in mystery as the pre-pilgrimage Camino. Most scholars believe the music to have been written before 1720, but the original manuscript is lost, and while the first five suites were written for the cello, the sixth one was written for a related five-string instrument of uncertain specificity. That doesn’t change the power of the music, which Johansen says he never tires of. His current favorite of the suites is the fifth one (BWV 1011), and he says the sarabandes of each of the suites are their spiritual centers. “What he’s writing is at once really complex but also very simple . . . I like to try to figure out what was the idea that Bach was playing with in this movement. It seems to me that most of the movements have kind of a central concept that he must have been playing with. It could be something as simple as up and down, or stop and start, or push and pull. Bringing something of that artistic journey to a completely new audience is vital not only for the Camino walk, but for being a performer in general, he said. “I think as an artist when you’re taking on any kind of project, you have to make sure that your focus is outward, and that you’re trying to do something good for the world with your project,” Johansen said. “It’s ridiculous to say that an artistic project is not about the artist, because it’s impossible. You’re not going to have a meaningful product, or a meaningful experience, if someone hasn’t invested all of themselves. 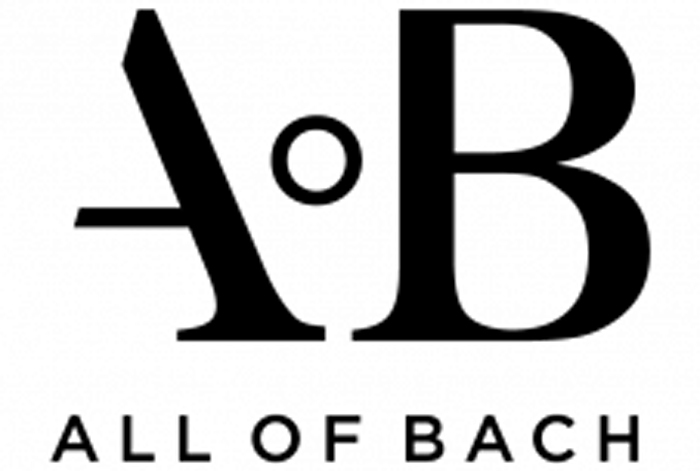 The Netherlands Bach Society has launched a large and ambitious project called “All of Bach.” In preparation for its centenary season in 2021-2022, the Society has decided to perform and record all of the works of Bach and share these pictures and sounds with the rest of the world. The hope is that millions of people will find inspiration every day whenever they enter the term “Bach” into their search engines. As one of the oldest early music ensembles in the world, the Society is in a particularly strong position to take on this task. Containing many beautiful churches with historic organs and rooms with acoustics that foster the performance of works by Bach, the Netherlands is the birthplace of authentic performance practice. While some of the earliest proponents of this movement are still active, second and even third generations of talent are also available. This wealth of experience allows artistic director and creator of All of Bach, Jos van Veldhoven, to lead finely-tuned performances that reveal how beautiful and poignantly intimate the works of Bach can sound. The online platform, both in Dutch and English, will be available to the “global village” of Bach starting in May 2014. A Rubik’s cube can be twisted and twiddled in 43,252,003,274,489,856,000 different ways, and 43,252,003,274,489,855,999 of them are wrong. Those truths – especially the second, maddeningly frustrating one – have been known since soon after the modish, Mondrianish plastic object was invented in 1974. The cube went on to become the must-have toy of 1980 and 1981. By 1982, the cube was so last year, doomed to Hula-Hoop faddishness. In 1986, The New York Times said the cube had been “retired to the attic, the garbage heap and, with a bow to its elegance and ingeniousness, to the permanent collection of the Museum of Modern Art.” Lately it has undergone a resurrection in a world in which engineers and computers can generate helpful algorithms that would-be cube solvers can share with each other. But some things have not changed. 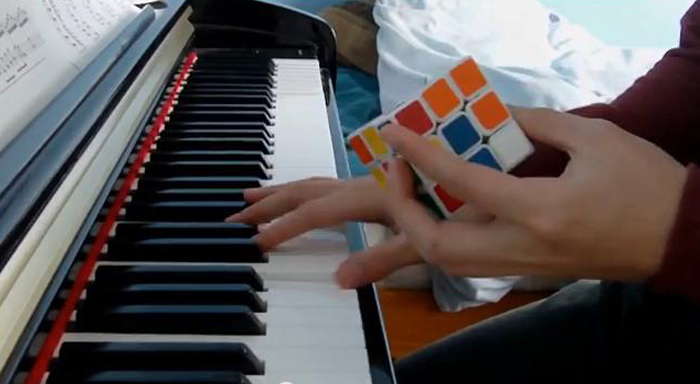 The typical Rubik’s cube still has nine squares on six sides, and the same eye-popping colors. And those unfathomable huge numbers in the first paragraph are still quintillions. “Four-point-three times ten to the nineteenth,” explained Paul Hoffman, the president and chief executive of the Liberty Science Center in Jersey City. Rubik’s cubes have trailed Mr. Hoffman for his entire career. On his first job after college, as an editor at Scientific American, he shepherded a March 1981 cover story about Rubik’s “magic cubology” into print. It was written by Douglas R. Hofstadter, the professor known for the Pulitzer Prize-winning best seller Gödel, Escher, Bach, who said it had taken him “fifty hours of work, distributed over several months,” to solve the “unscrambling problem.” He mentioned group theory, which has to do with algebraic structures, and something he called “cubitis magikia,” a “highly contagious” condition “accompanied by the itching of the fingertips that can be relieved only by prolonged contact” with a certain multicolored object. Now Mr. Hoffman is capitalizing on the cube again, with a $5 million exhibition that opened to the public on 26 April 2014. It features an eighteen-karat gold Rubik’s cube said to be worth $2.5 million that pivots and swivels like an ordinary plastic one, and a cube-solving robot that is no match for speed cubers, as competitors who try to beat the clock are known. It took the machine a minute to unscramble a jumbled cube. In that time, Anthony Brooks, a speed cuber with several records to his name, did it three times, once using only one hand. In the forty years since it was invented, the cube has made some intriguing cameo appearances. Edward J. Snowden, the former National Security Agency contractor who has leaked intelligence secrets, told two journalists he had arranged to meet that they would recognize him outside a restaurant in Hong Kong because he would have a Rubik’s cube in his hand. Mr. Hoffman said that sounded like an homage to the 2009 film Duplicity, in which spies played by Julia Roberts and Clive Owen realize who they are because they are both carrying Rubik’s cube key chains. That could not have happened to the cube’s inventor, Ernő Rubik, 69. He said he did not travel with a cube. “I don’t need to,” Mr. Rubik said as he previewed the exhibition this week. He passed a display case containing his original pride and joy, a wooden cube. It sat in front of the Hungarian patent he was issued for his “magic cube” in 1975. He invented the cube as the solution to the kind of structural problem that could bedevil an architecture professor, which is what he was at the time. The structural problem was how to keep a mechanism with many moving parts from tumbling to the floor. Do not expect him to face off against a speed cuber like Rowe Hessler, a bowling-alley manager from Riverhead, NY. Mr. Hessler, 23, is a former United States speed cubing champion, whose fastest time unscrambling a standard three-by-three-by-three cube was 6.94 seconds. At the science center, Mr. Hessler did it in a seemingly effortless 9.69 seconds of twisting and pivoting. The only noise was the cube, clicking like bad dentures in a cartoon. Mr. Rubik said he had not imagined when the ink on the patent was fresh that the cube would become so universal. “I had a feeling about the intellectual value of the cube” early on, he said, adding that items with intellectual value can be a hard sell in a material world. Mr. Rubik said he had thought that toy manufacturers would pigeonhole it as a puzzle. “Traditionally, the puzzle section in the toy business is very narrow,” he said, “and they don’t believe it’s possible to make a business. They’re not selling mass production.” He said the cube had changed that thinking. Mr. Hoffman said one billion to 2.5 billion cubes had been manufactured, assuming there were five counterfeits for every legitimate one sold. “They’ve seized whole 747s full of illegal knockoffs,” he said. Of course, Johann Sebastian Bach is enough to impress anyone, from music lovers to horror movie fans, who have heard the opening notes of his Toccata and Fugue in D minor (BWV 565) in countless scarefests. What does Bach have to do with beer? The two have always gone hand in hand – some of the Baroque composer’s clients actually paid him with beer. Now, two major music events are celebrating the connection. The Oakland East Bay Symphony is teaming up with Linden Street Brewery for a Bach & Brewfest on 17 May 2014 that includes music, Linden Street beer, and ales made by the brass and flute sections. And the Mendocino Music Festival is doing a Bachfest and Bach & Beer event this summer. I’m thrilled on every level. Long before I became a beer writer, I was a composer and musician stationed in New York City with a U.S. Army band. Playing an instrument requires technical precision and artistic creativity, the same skill set you need as a brewer. The best brewing is equal parts art and science, and brewers who make a consistent beer are fastidiously organized. Precision is integral, from the length of the boil to the exact moment to add hops and in what amount – the tempo, the time signature and the notes. It doesn’t surprise me that many brewers are also musicians and that many breweries have their own house band. The same type of person is drawn to both pursuits. I will be speaking about beer and brewing in the time of Bach at Mendocino’s Bachfest on 13 July 2014. When they asked me what beer to serve, the punster in me immediately thought of bock. But the more I thought about it, the more sense it made. Bock is a type of German beer which originated in northern Germany as early as the fourteenth century and would have been popular during Bach’s lifetime, as it still is there today. 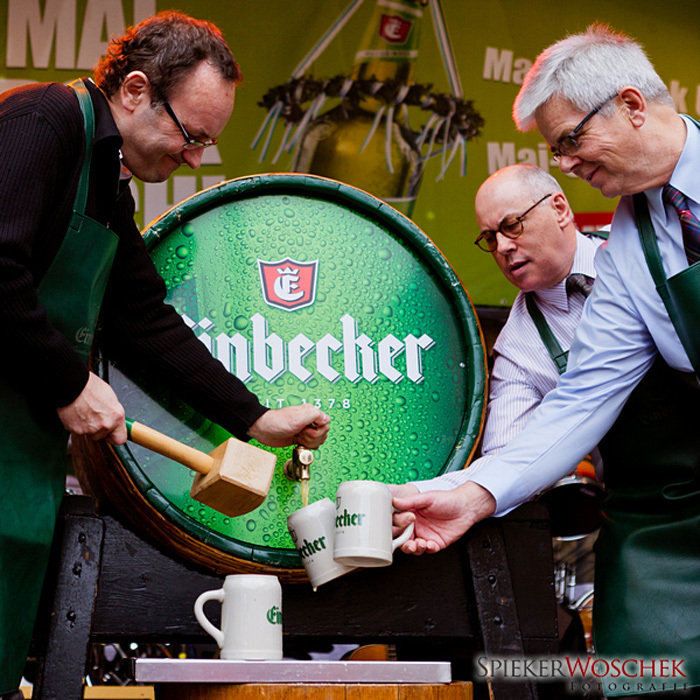 The name is believed to come from the town of Einbeck, where it likely was first brewed. The name evolved into bock in the seventeenth century, when brewers in Munich began brewing the style. Their Bavarian accents made “beck” sound like “bock,” the German word for goat, which explains why goats grace so many bock beer labels. Bocks are lagers, meaning they use bottom-fermenting yeast. They need to be aged at colder temperatures than ales, and for a longer period of time, sometimes months. There are several types of bocks, but the traditional bock is probably the most common. It’s a little darker in color and a bit stronger than your average beer – usually between 6 and 7.5 percent alcohol by volume – and malty sweet. Einbecker Ur-Bock Dunkel, which is imported here, is essentially the original, but you can find several other versions by German and American brewers here, too. Try Anchor Bock, which the San Francisco brewing company brewed for the last time this spring. Pick some up soon, before it’s gone for good. Other common types of bocks include maibock and doppelbock. Maibock, which is also known as helles bock or blonde bock, is lighter in color – golden to light amber – but otherwise similar to a traditional bock. Try Gordon Biersch‘s Blonde Bock or Rogue‘s Dead Guy Ale. Doppelbock, or double bock, is a bigger beer at 7 to 10 percent alcohol. It’s full-bodied and often sweeter, too. This style was originally brewed by monks to get them through the Lenten fast. The beer was known as “liquid bread” in the monastery. The original doppelbock was Paulaner‘s “Salvator,” and even today, the name of most doppelbocks end with the suffix “-ator.” I’m particularly fond of Ayinger‘s Celebrator, but Spaten Optimator and Samuel Adams‘ Double Bock are also quite tasty. Drop in to one of the Bach events to enjoy delicious beer and equally wonderful music. Or pick up a beer and listen to some Bach at home. Bock and Bach make a uniquely delicious combination.